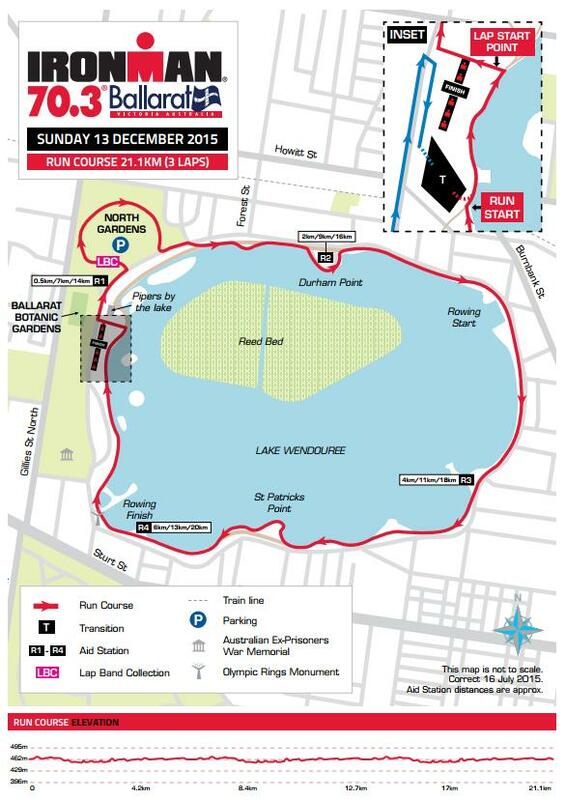 The 21.1km Ballarat run course has been updated after last year’s inaugural event. 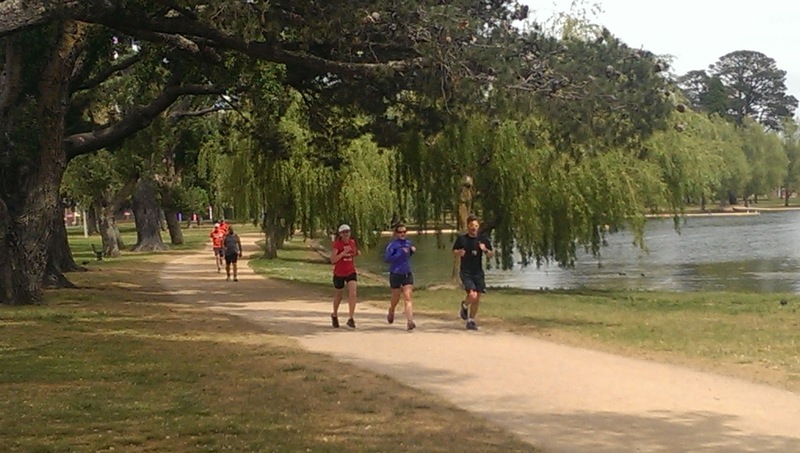 This year will see 3x (7kms) full laps of the Wendouree Lake on the Steve Moneghetti Track which borders it, with a slight deviation around the North Garden to make up the necessary distance. With these improvements athletes will experience more of a flow to their run instead of having to negotiate out and back sections near transition which was the case on last year's 2lap course. This will add to the enjoyment of the run for the competitors on this flat picturesque course. Competitors will get to see some great sights and scenery along the way including the Olympic Rings monument which was erected at the finishing line of the 1956 Olympic rowing, kayaking and canoeing course on the Lake. This was in recognition of Ballarat's participation as one of two host city for the 1956 Melbourne Olympics. For the most part the run is a completely flat track and is well shaded in parts with overhanging trees. As the course follows the water line for the majority of each lap, there will likely be a cooling effect for competitors in case of a hot day. The race will finish with a run up one of the longer finishing chutes in Ironman racing. If last year's atmosphere up the chute is anything to go by, the finish line will be one big party celebrating the great efforts of all competitors. Last year's run times were pretty swift with winner Michael Raelert clocking an impressive 1:13:53hrs run split to take out the event. The weather were conducive to a fast run with cool conditions and his time compares favourably to the time he clocked at Mandurah 70.3 weeks earlier in 1:12:45hrs. I will be expecting some fast run splits and overall times from competitors this year. Ballarat is a qualifier for 70.3 Worlds in Queensland in 2016, so athletes will have extra motivation to score one of the coveted qualifying spots on offer at Ballarat. Should be a great race come December. 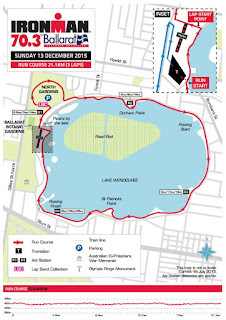 If you want to get one up on your competition, then come along to the official Ballarat 70.3 Course Recce day on Saturday 7th November from 8:00am to 2:00pm. You'll get a chance to ride one lap of the course under supervision.